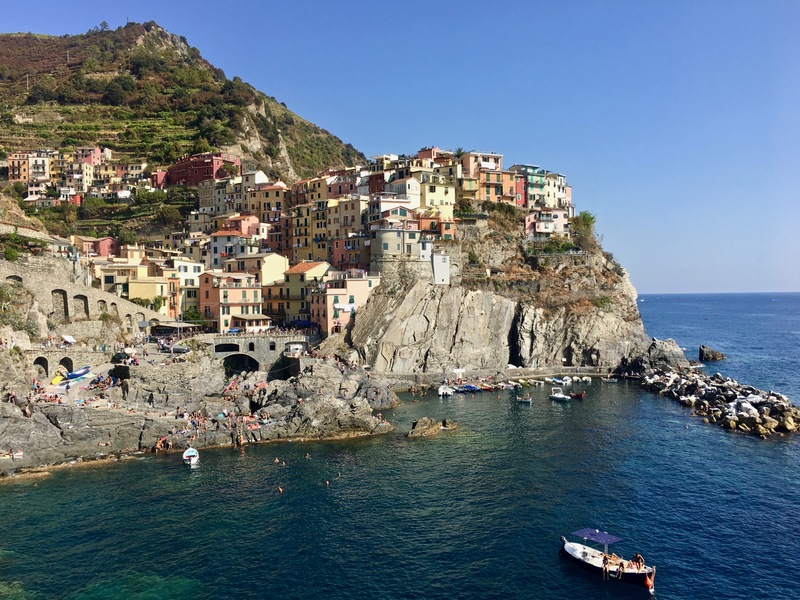 When we think of traveling to Italy, we commonly associate it with delicious pastas and wine, rich history, welcoming (and expressive) Italians, old cities, ancient architecture and beautiful art. 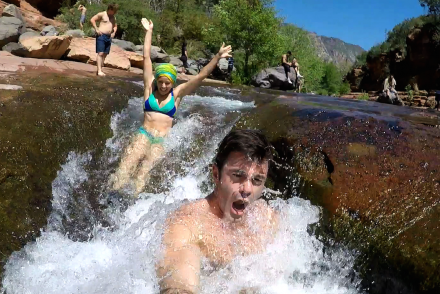 What probably doesn’t come to mind is hiking. 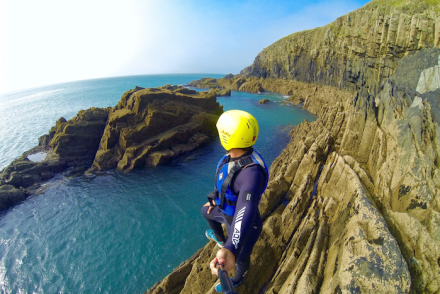 What if you could combine the best of Italian culture and spice it up with an outdoor adventure? 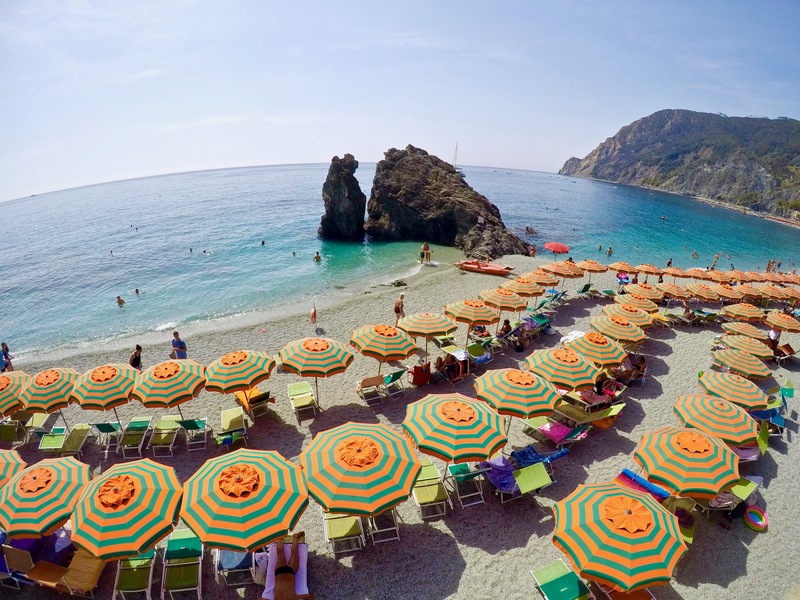 That, mi amor, is exactly what get when you visit Cinque Terre, a destination in Italy comprised of five towns connected through hiking trails along its breathtaking Mediterranean coastline. 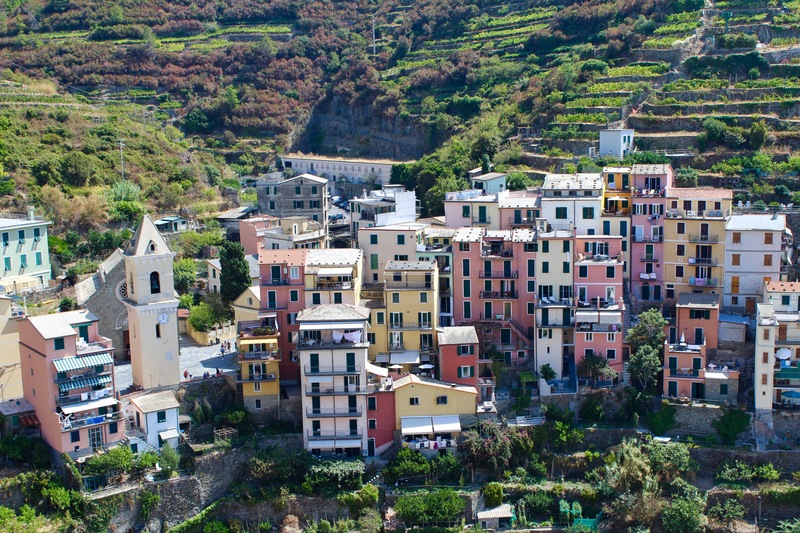 Here are 7 things to know for Cinque Terre hiking. 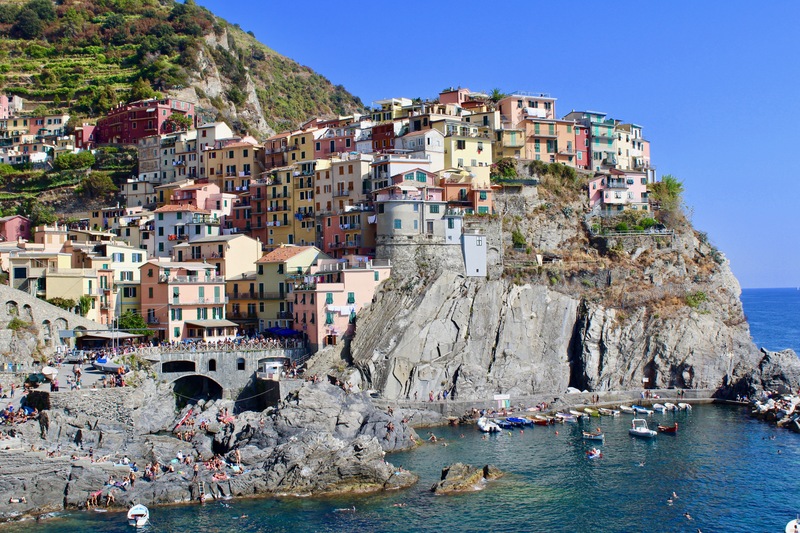 The name Cinque Terre itself translates to “Five Lands” which makes perfect sense considering it’s a collection of five small towns in the Liguria region along the Italian Riviera. 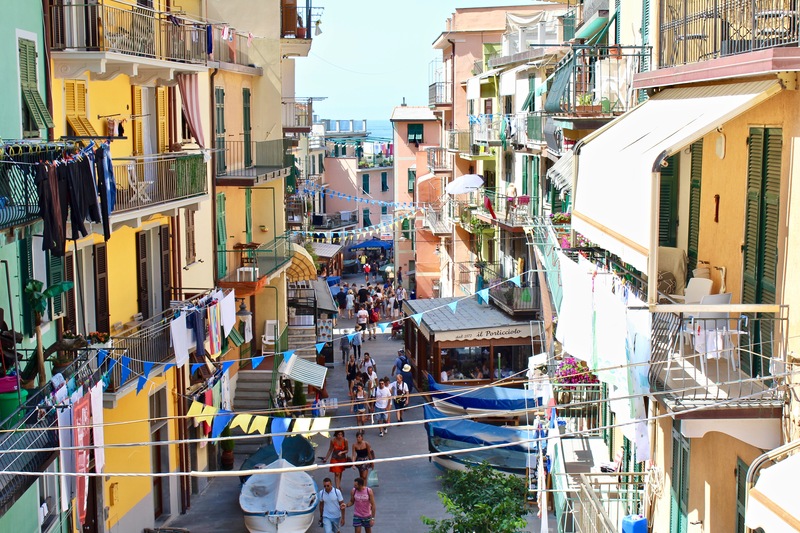 From the south to north, the towns include Riomaggiore, Manarola, Corniglia, Vernazza and Monterosso in the northeastern region of Italy. 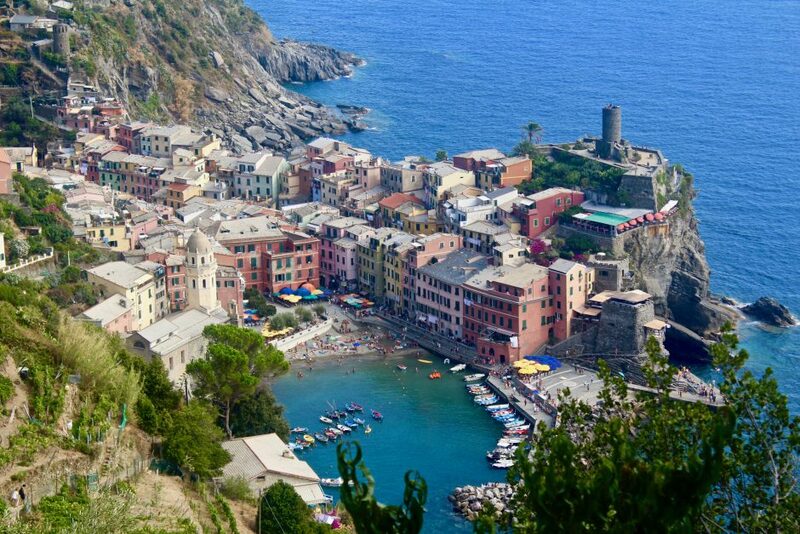 Although these towns can be accessed by train and boat, they are most well known and popular for their system of Cinque Terre hiking paths. 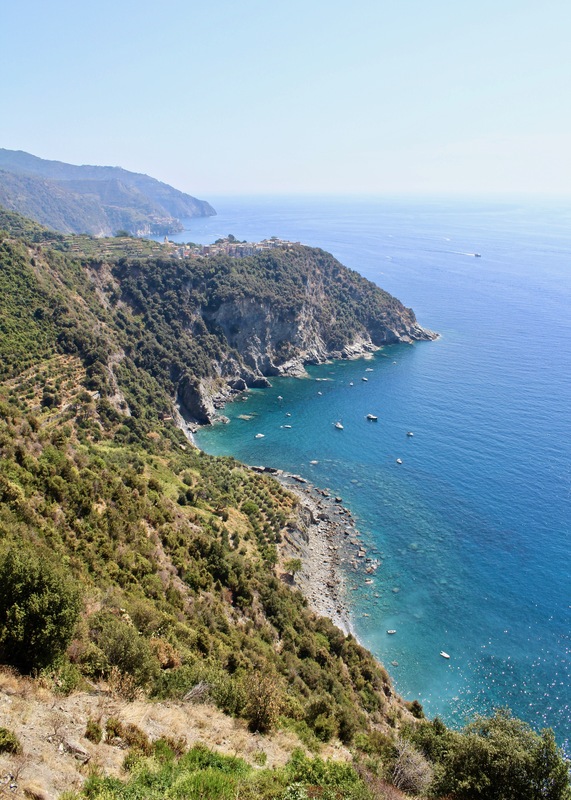 Cinque Terre hiking can be divided into two main trails—Trail #1 and Trail #2. 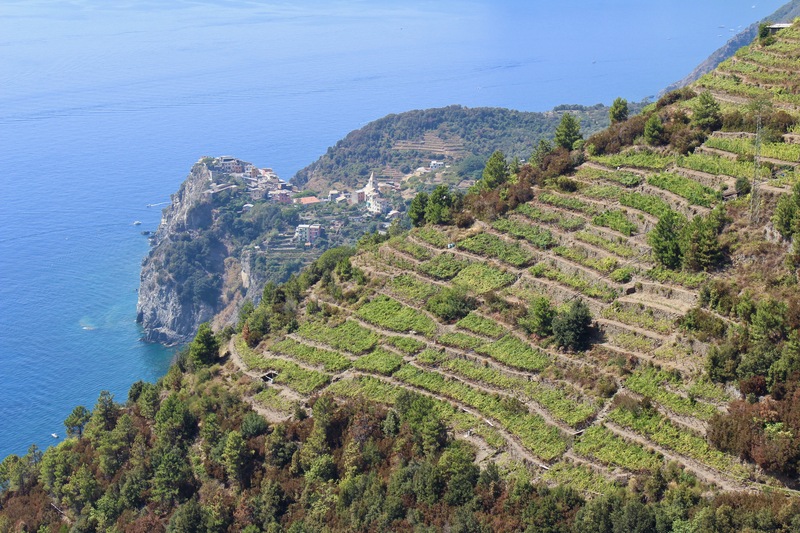 Trail #1, also known as “Sentiero Rosso” or the Red Trail, is the more strenuous, longer route in the north. 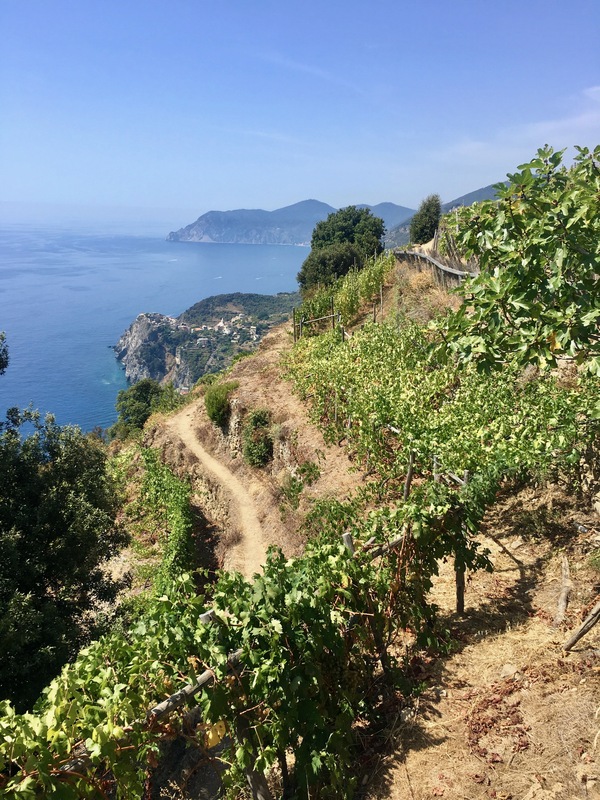 This ridge-top route takes roughly 9 to 12 hours to complete from Portovenere to Levanto. Along the way there are paths that head south to each of the five main towns, connecting it to the Blue Trail. 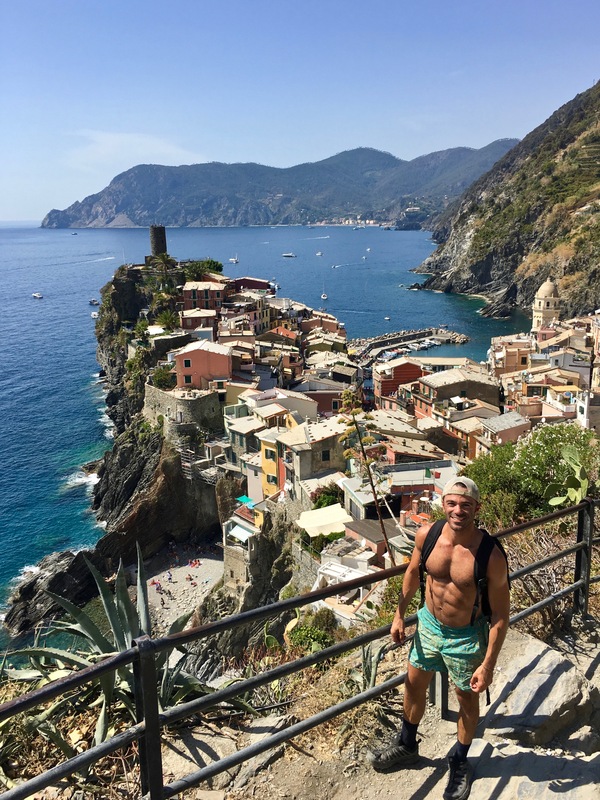 During my three days visiting Cinque Terre I chose to hike Sentiero Azzuro and it is hands down one of my favorite memories in Europe. 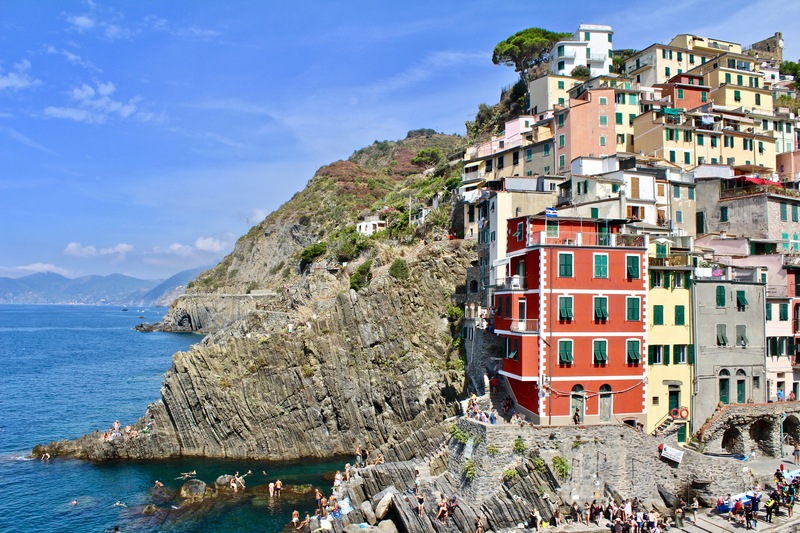 The five towns themselves are charming and stunningly beautiful with their colorful buildings perched on gorgeous coastline cliffs. 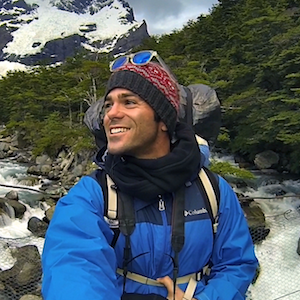 As an outdoor adventurer it was a treat to travel on foot, enjoying nonstop breathtaking views along the way. 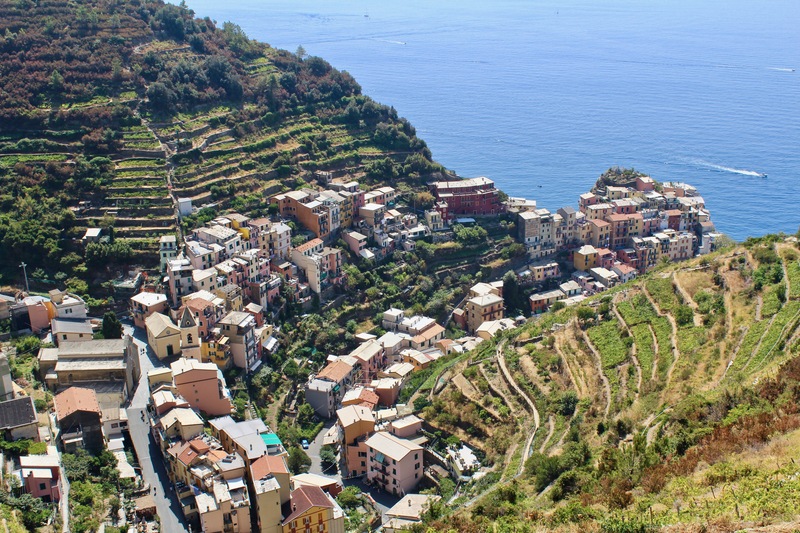 If you also choose to hike Sentiero Azzuro, your biggest decisions are which direction you want to hike and over how many days. 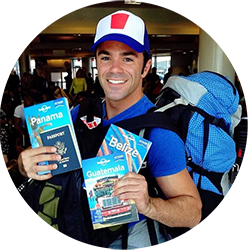 I chose to split the hike up over two days and to hike south to north. 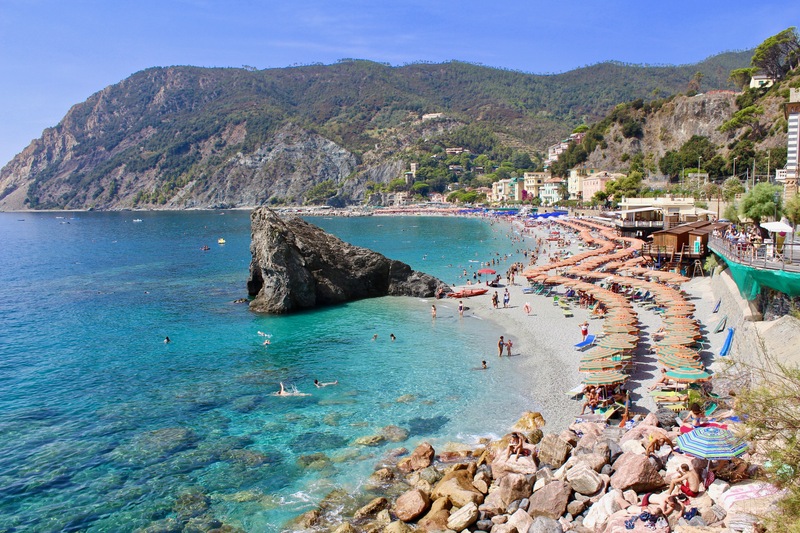 I recommend hiking from Riomaggiore to Monterosso to start off on easier paths before hitting the harder trails. 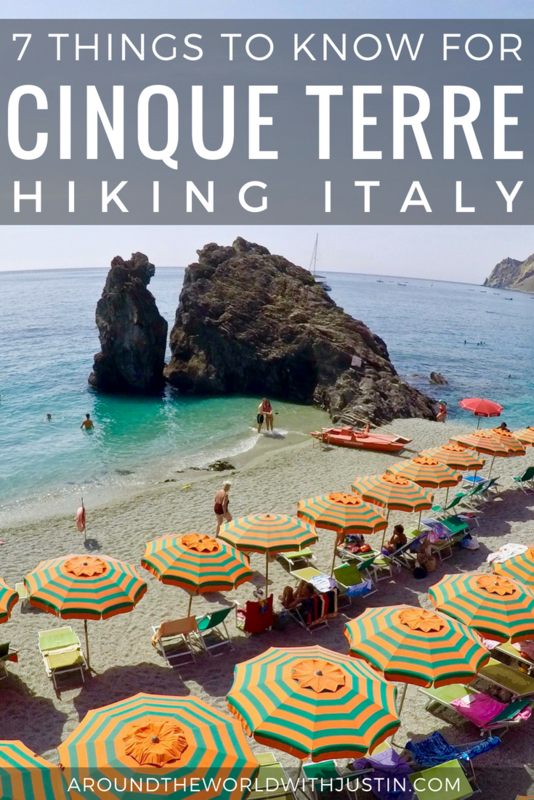 Here’s a quick breakdown of Cinque Terre hiking. 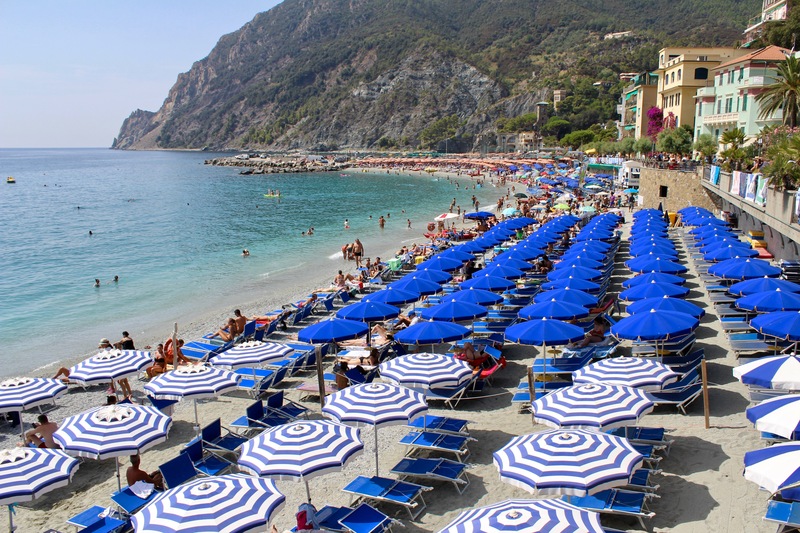 Vernazza to Monterosso (3.7km): Get ready for a difficult stretch of steep stairs followed by picturesque garden, sea and beach views.The best part is ending at the beach! 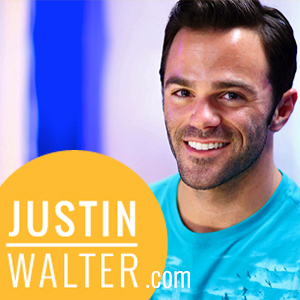 This article was originally posted as a collaboration with photographer Gray Malin.